Members of 9 Parachute Squadron who served during the period 1950-1951, will be saddened to learn of the death of their former OC, Lt Col. Peter Bennett OBE. A distinguished soldier, sportsman and world traveller he took command of 9 Independent Parachute Squadron R E just as they arrived in Aldershot from Hemeln. 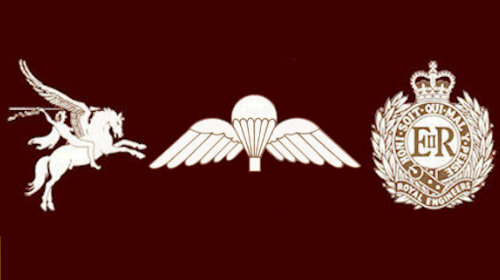 The Squadron had been reformed from the regular Sappers who had served in the 6th Airborne Division. 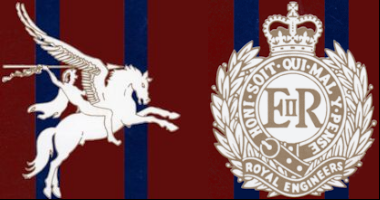 In 1953 he went to London to be CRE 16 AB Division (TA) and CO 131 Para Engineer Regiment the largest recruited unit in the TA. He was awarded the OBE for his period of command. After retirement from the army in 1957 he joined the National Coal Board in an executive position, retiring as Deputy Chairman in 1975. After retirement he took up many appointments in public life, also spending many hours in his favourite sport of fishing. He married his wife Rosemary in 1951 and had two children, John and Clare with five grandchildren. To them we offer our deepest sympathy.